As a practice owner you’re likely to operate on a small budget and chances are marketing is probably the first place you would start cutting costs. However, it is important to maintain consistent healthcare practice marketing. Your competitors are likely cutting back also and you will have the ability to improve your community share by staying present. The competition is tough; therefore, communicating in a cost-effective manner becomes even more important. Just like your average patient, you need to know where your money is going. You need to ensure you are getting a proper return on your marketing investment while finding ways to communicate with your patients effectively. It’s all about patient loyalty. The average patient is looking for a practitioner they trust, a practice that is reliable and a service that comes with perfect customer service. Your patients expect consistency and value from every visit. This considered your marketing strategy should be less about getting your practice known and more about cultivating strong and profitable patient relationships. Your practice may have great resources and staff, but without a loyal patient base, your practice cannot grow. Make it personal. Focus on your regulars and recognises them, as that will be a more effective means of reaching your audience. Send a note of thanks, a holiday greeting, a reminder about upcoming events, etc., and be sure it is personalised to that specific patient. Make your patient feel like part of the team. Redefine the value of your service. Your patients want to feel safe and secure; they want to feel like they are visiting a neighbour. By highlighting the value of your healthcare service and focusing on the “neighbourhood” approach, your patients will feel more at ease when they visit you, therefore, will be more willing to be a repeat visitor. Adjust your pricing. It may be necessary to reevaluate your pricing scheme. This, however, involves more than just temporary price promotions or coupons. It is necessary to evaluate your patients’ needs and consider price adjustments that will emphasise the value of your service. Increase the number of regular patients by offering wellness programs to those loyal patients. Listen to your patients. Develop an understanding of what your patients want, and take steps to make the necessary adjustments within your practice. Invest in new services, new equipment to keep you with the ever-changing needs of your regular patients. Employing a public relations strategy in your marketing plan will not only emphasise your community involvement, but will remind your patients of your presence in their everyday lives. In order to effectively invest in public relations, you will need to identify your objectives and your target market. To determine your message, you need to focus on one objective. If your objective is to attract new patients, you may want to focus on articles that portray your practice achievements or relevant joint ventures within the community. Once your message is concrete, it is time to get that message out to the community. This can be achieved in a number of ways, and the more you apply the better. Media presence is the key to successful PR. Having a regular schedule of media announcements will keep your practice in the front of the patient’s mind. Web presence is essential in today’s healthcare environment. Your website should outline your capabilities and experience as a practitioner and a team. Public speaking can increase your presence in the community. Look for opportunities to speak before community groups where possible. Marketing via social media provides a way to reach a wide audience without spending thousands of dollars to do it. With social media, you can easily connect with your patients, as it not only lets you reach your audience, but also allows you to have an interactive dialogue with them on a more personal level. Effective social media marketing rests on two basic principles: connect with your patient and really listen to what they are saying. 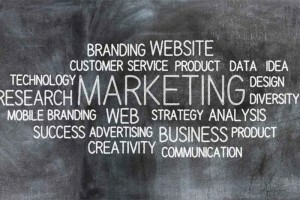 Marketing in the current economy does not have to be a million-dollar investment. A successful marketing campaign will connect with your patients in more intimate ways. This will provide a sense of comfort and safety with a true focus on your patient’s needs. Understand who your ideal patients are and reach them in ways that will make you a part of their daily life. Don’t just offer them a service—make your patient a part of your practice.